The beginning of the drive was not especially scenic, but of course we are pretty spoiled by now. And we soon had to slow down due to the road conditions. We stopped at the Historic Canyon Creek Bridge, first built in 1903, and reconstructed in 1942. A more modern bridge was built just downriver. The original one was closed to traffic, but some restoration work was done on it, most recently in 2005. 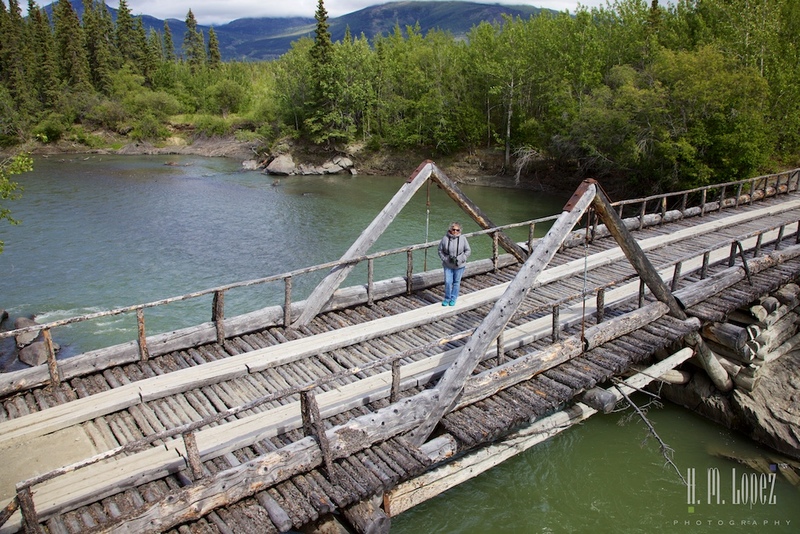 A very cool frontier era bridge. 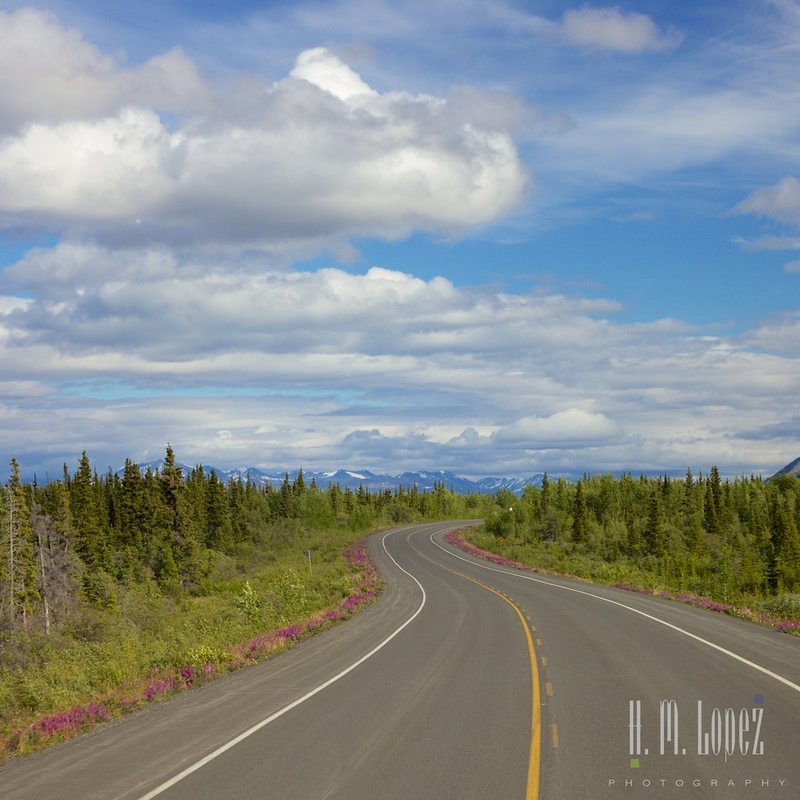 But the drive became much more scenic as we neared Haines Junction, with lots of beautiful lupine framing the road. 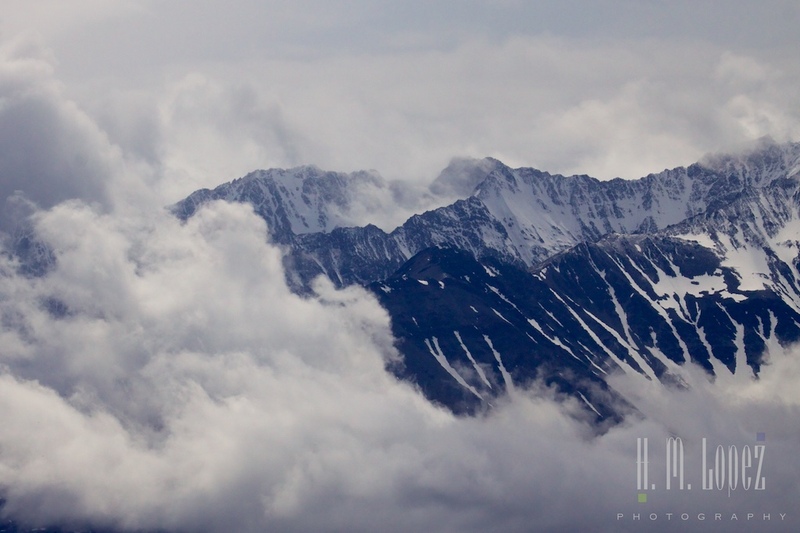 Then the views of the spectacular Kluane Range appeared. 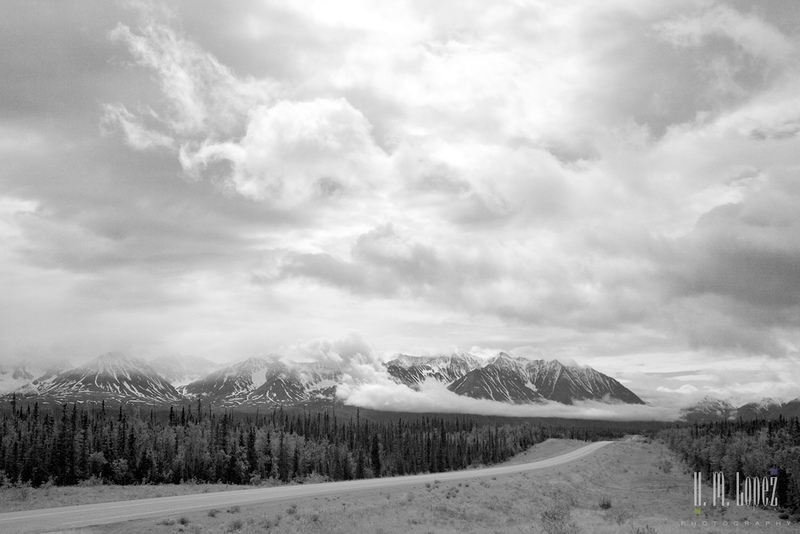 Just after that point we had views of the astounding Kluane Range Icefields. 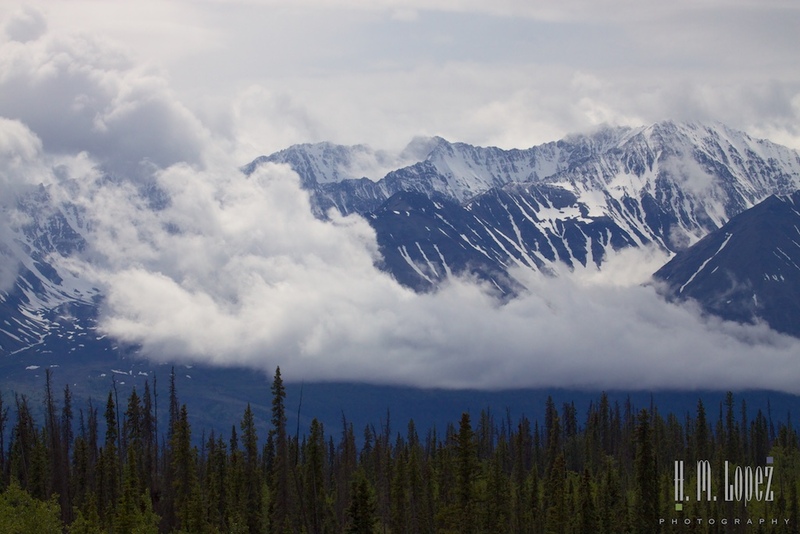 It was still fairly stormy although the rain stopped, so parts of the mountains were shrouded in clouds. That made it an even more dramatic view. 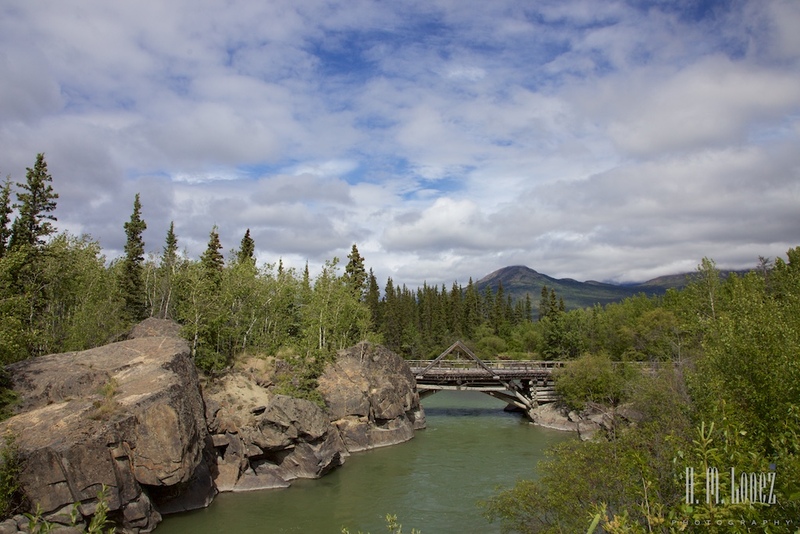 We arrived in Haines Junction and headed to the Da Kµ Cultural Center which houses the Haines Junction and the Kluane National Park Visitor Information Desks. 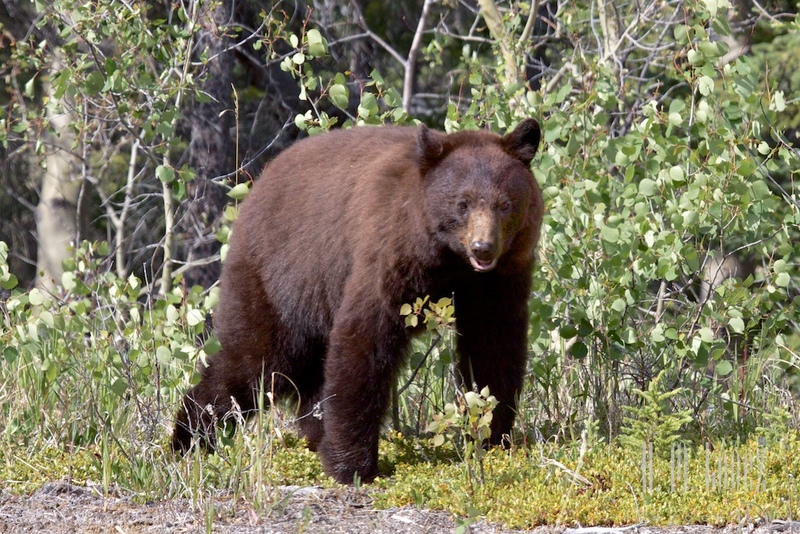 We decided to personally check out three of the nearby Government Campgrounds. Pine Lake, a Yukon Government Campground that is in town, was pretty full, as it turns out there is a Bluegrass Festival this weekend. 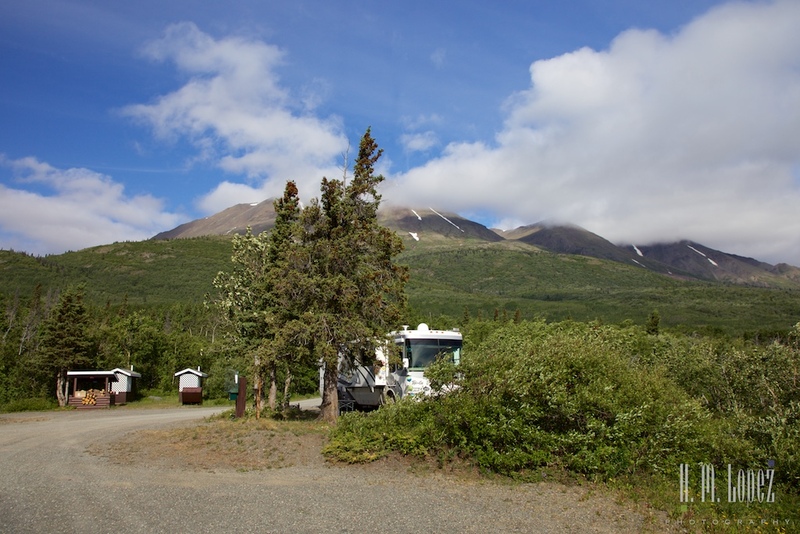 It is a pretty nice campground with lots of nice trees and also the closest to town services. 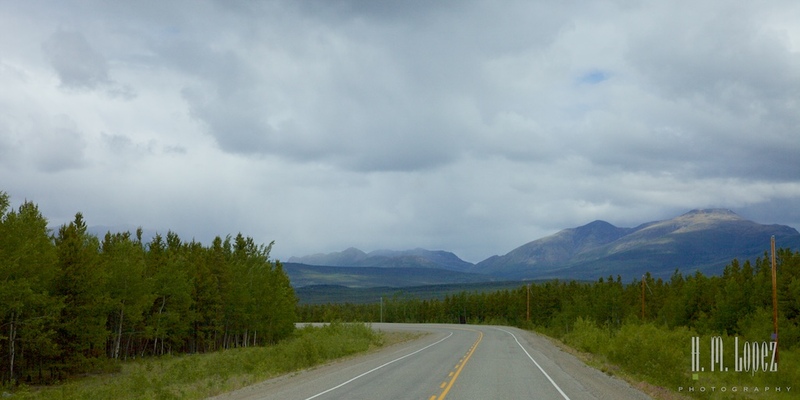 The other two were off the Haines Highway (the road to Haines, thus the town name Haines Junction). The first, fifteen miles from town is actually a Parks Canada Campground, Kathleen Lake. It is in a very pretty forested area by the lake, has a beautiful day use area with a dock, and a nice trail that takes you alongside the lake. Definitely worth considering, but we were intent on a lake view. We drove to the next one, fifteen miles further away. And it was well worth it. 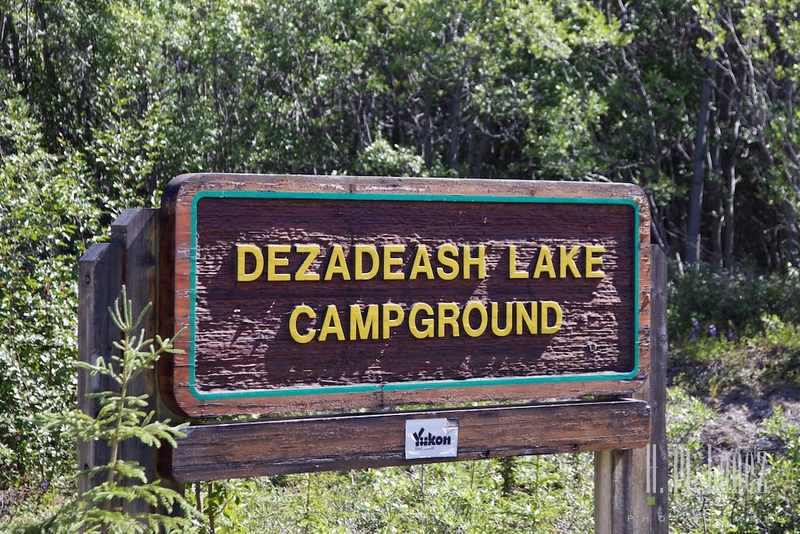 Dezadeash Lake, a Yukon Government Campground is right on the lake, with campsites overlooking it. The forecast was for rain the next day, so being able to stay inside while looking at the lake was a plus. There are actually only a couple of sites that accommodate motor homes our size, but we scored one. So what did we do as we got closer to Alaska? We took a thirty mile detour! Thirty miles from town but in a truly breathtaking area and near some of the hikes that we were interested in. And we planned to hang here a couple of days. 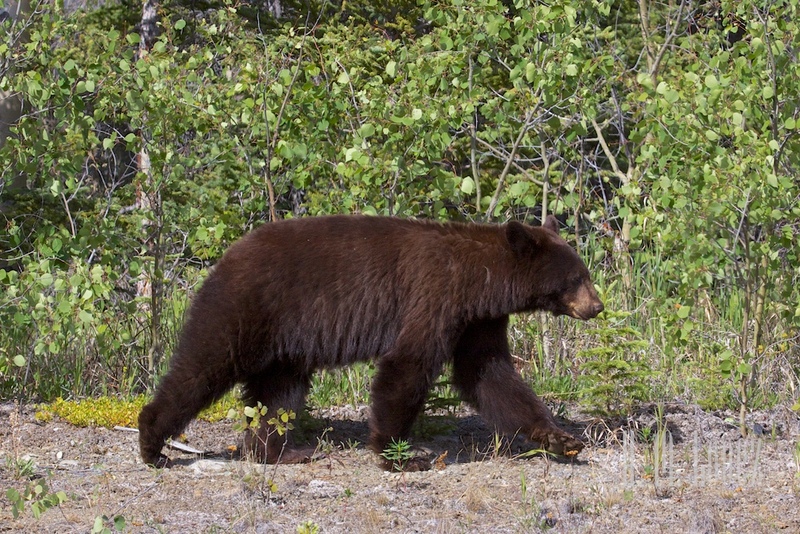 And on our way here we saw another black bear, our only wildlife sighting on this leg of our trip. 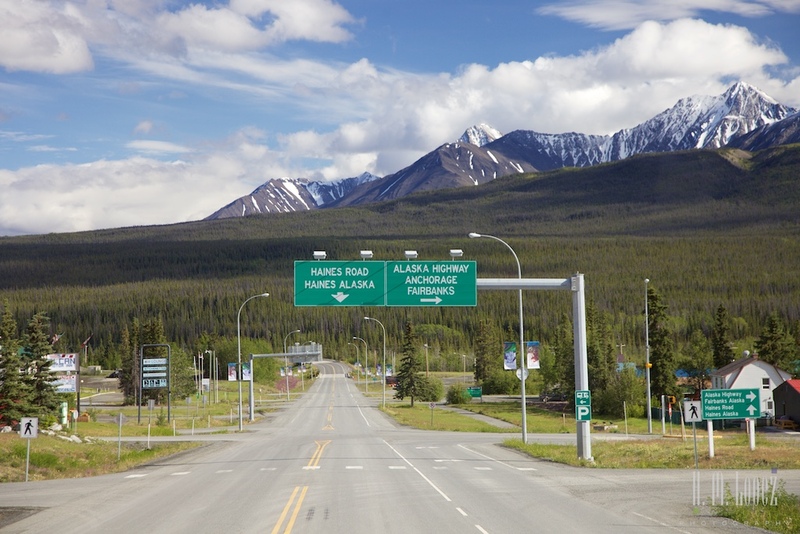 Tip of the day: Unlike in British Columbia, most of the large rest areas and roadside pullouts in the Yukon have no camping/no overnight parking signs. We were told that they are keeping RVers out in order to provide the space to the truckers, who are required by law to rest for certain periods of time. There are a few smaller turnouts where smaller RVs can overnight, but they can be tough to spot and not always in listed in the Milepost. Therefore it best to not assume you will be able to overnight by the road, and always have a plan B. 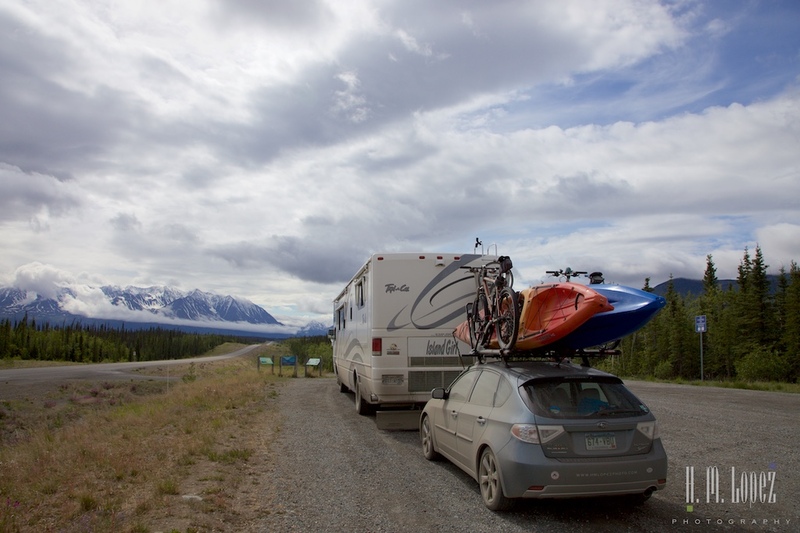 As we mentioned before we highly recommend the Yukon Government Campgrounds. There are a lot of them, they are generally quite beautiful, and are a total deal at only CA$12 a night for dry camping with free firewood included. 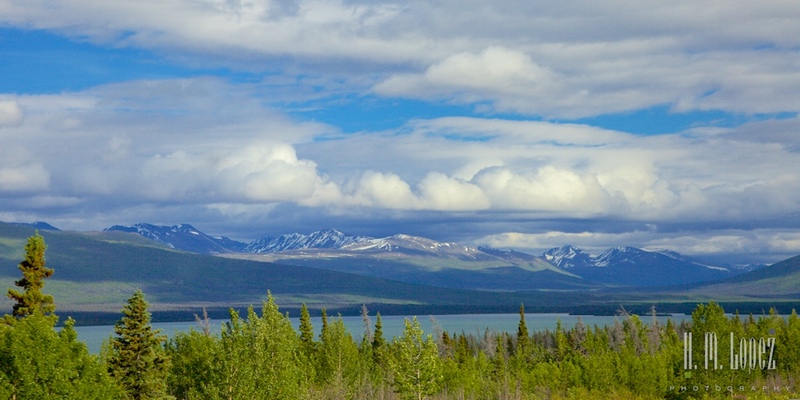 We plan to relax by beautiful Dezadeash Lake for a couple of days before tackling the last and reputedly worst section of highway into Alaska. Glad you are having a great adventure…keep on trucking. It has been a wonderful experience so far, and this is only the beginning! Just taking a break from upgrading the converter/charger on our Bounder. Our Great Escape is getting closer and closer. Woohoo! We totally envy you guys. What a thrill. Don’t be taking anything for granted up there. Even the least scenic is WAY prettier than many places. 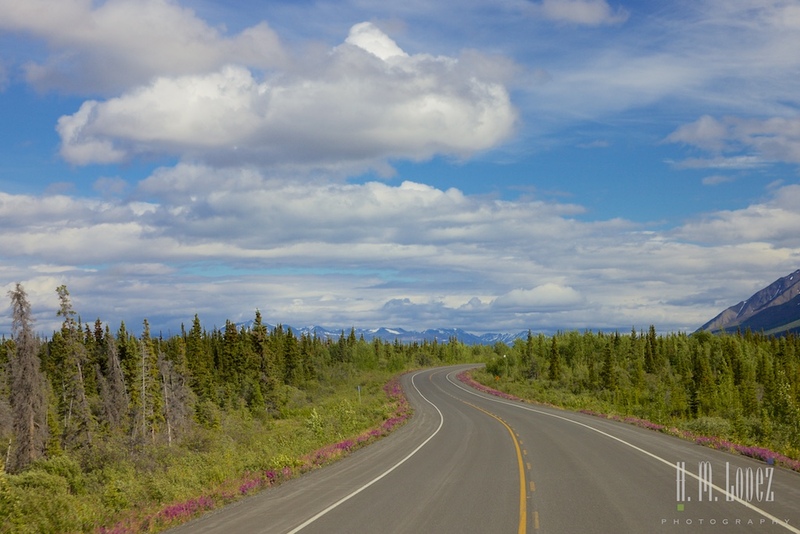 It’s the Alaska Highway. You could be down here in the High Desert of S. California where the temperature for the next 10 DAYS is going to be either side of 100. Wise guy, Hector has actually been “washing” it with lake water when we stay near the lakes, but it’s an impossible job. And now Island Girl is starting to look brown! Countdown sure is fun! We definitely do not take any of this journey for granted, we are grateful every day. I am a “tropical girl” but I must say 100 is a bit much even for me. 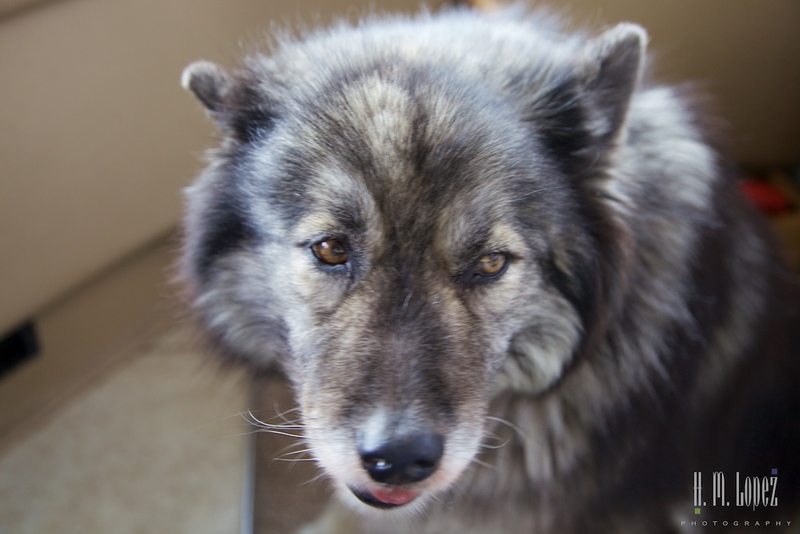 We are a few days behind in the blog but hope to catch up soon, almost in Alaska! Hi Brenda & Hector. We met 4 young guys from the U.K. in TOK bicycling from Anchorage to Argentina and they should be nearing you guys. If you see them say “hi” for us (chatted with them in the TOK gift store). Can’t miss 4 together on bicycles! Wow, that is impressive, we will be on the lookout for them. 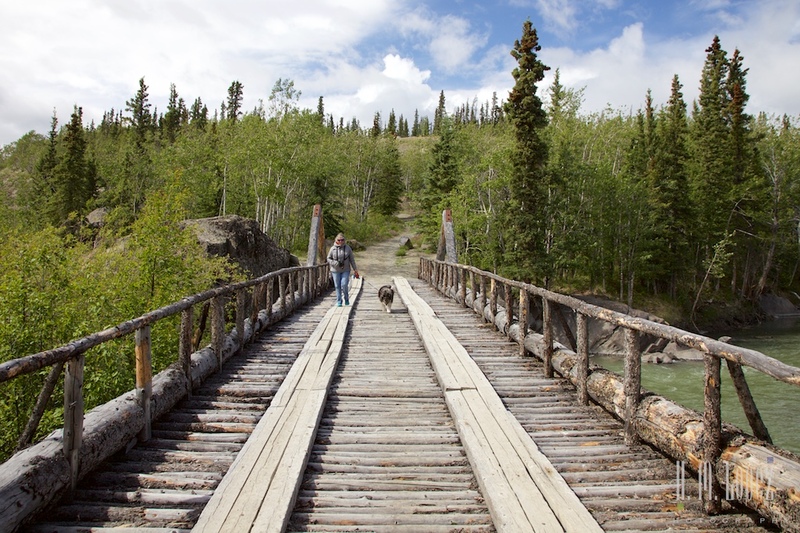 Those Yukon Government campgrounds look wonderful — and it doesn’t seem like you’re having any problems getting a site. Of course, we wouldn’t want to dry camp night after night, but it seems like a good option. I’m making myself a note of that Bluegrass Festival — but that would mean planning ahead…..
Actually, today we did have a problem, not because there were no sites available, but because the available ones were not large enough for our motorhome. But we also arrived rather late in the afternoon. Funny, that planning ahead thing can be challenging. 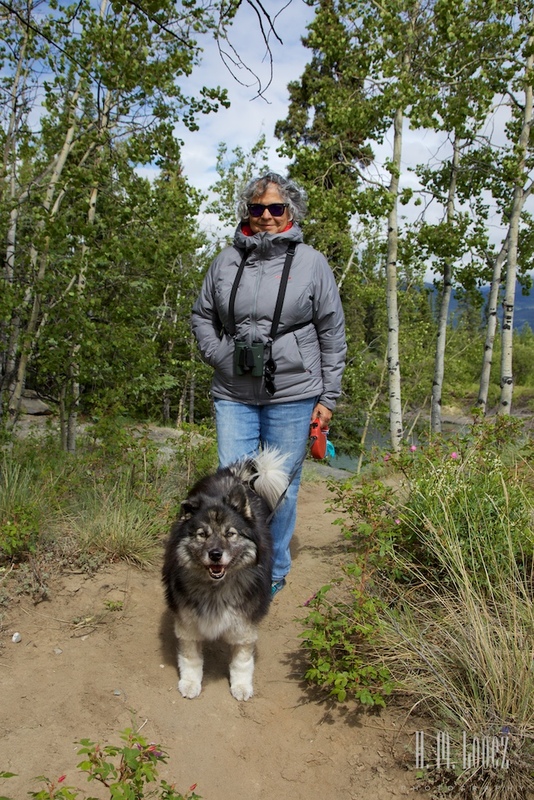 Thank you for sharing your journey to Alaska. My husband and I are enjoying the detailed descriptions and amazing photographs. Truly riveting reading! Thank you so much, glad you’re enjoying the blog. We truly enjoy sharing our journey. Thanks so much for laying the groundwork for those of us planning a trip to Alaska in the next year. Hopefully this next stretch of road will not cause you any problems. Hope the blog is helpful, we have learned a lot! 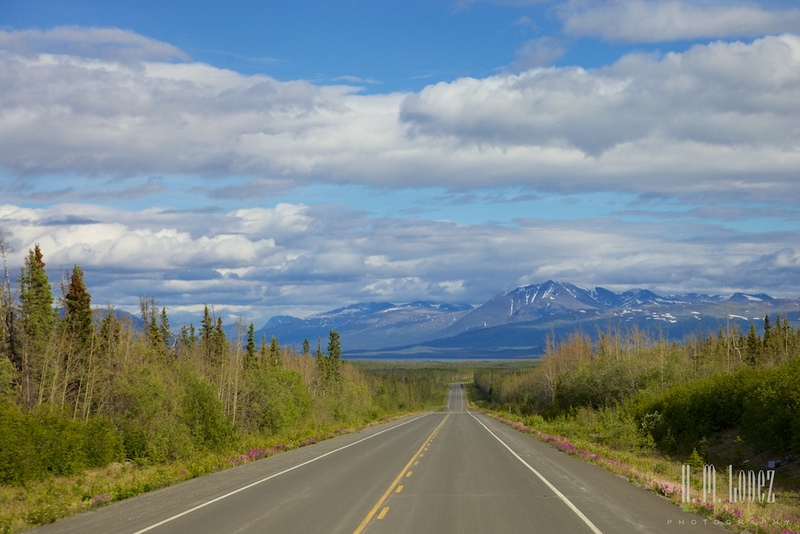 So far so good, and we are almost to Alaska, hopefully will catch up on the blog in a couple of days. Great views everywhere. Or maybe you just show the best. The bridge was the highlight of this post for me. Love to see they way they built them. Thanks. You are right, the old bridges are really cool.